The GPL Z9000 odorizer (pictured) has been discontinued. GPL Odorizers, the manufacturer of premium odorization systems, announced the discontinuation of the GPL Z9000 odorant injection system. The company will provide support for the current odorizers in the field as well as sell parts for the unit until December 31, 2019, or while supplies last. 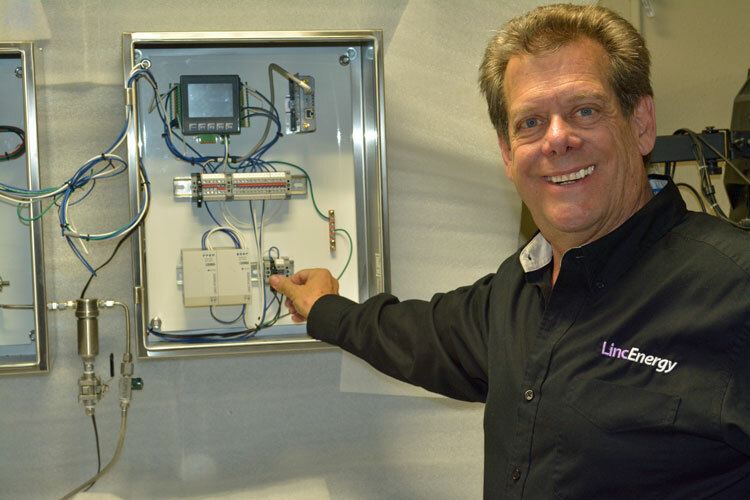 The GPL 750 Odorization System provides odorant injection for natural gas, biogas, and propane and is now available. The 750 Odorizer is an innovative and eco-friendly approach to accurate, optimal and consistent gas odorization for low-flow, no-flow, and intermittent volume applications. In an earlier post, we discuss how there are two categories for natural gas odorizers, vaporization or odorant injection style. In Wick-Type Odorizer and Bypass Odorizers | Vaporization Type, we share that vaporization style odorizers have limited applications, specifically low-flow, and constant flow where there is little variation in gas flow. Here we discuss the injection style odorizers. 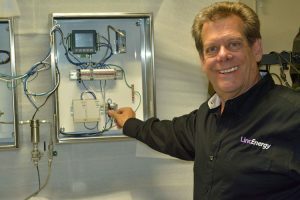 Randy Bishop of Linc Energy Systems demonstrating a new GPL Odorizers’ odorant injection system. Today, chemical injection systems are used for transmission pipelines, most large cities, many medium size loads and even some small loads in particular applications. The injection may be performed using either a pump or a drip method that injects a known volume of odorant into the gas pipeline. By adding small amounts of liquid odorant into moving gas, the gas becomes odorized. In this style of odorizer, a computer controller monitors the flow which in turn will vary the injection rate. We can classify natural gas odorization equipment into two categories, either chemical vaporization or chemical injection. This article will discuss the vaporization type. 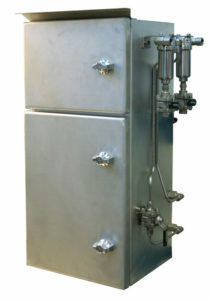 The GPL Z9000 odorizer (pictured) is an odorant injection system that is feature-rich, ventless, eco-friendly and excels in low-pressure and low-flow odorization.